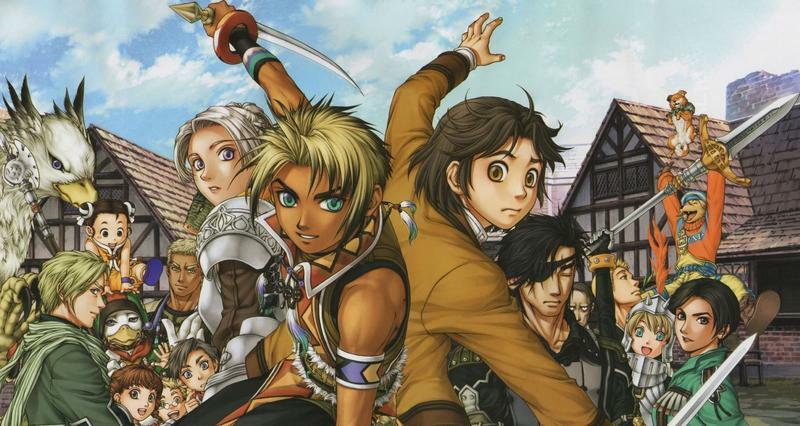 He might not be a household name to most game enthusiasts, but Yoshitaka Murayama is a name near and dear to my heart for creating Konami's fabulous and forgotten RPG series, Suikoden. Now, he has teased a new indie game aimed at Western audiences to the good folks over at Suikoden Revival Movement, that he and Blue Moon Studios are working on. "It's hard to say with certainty what will happen in the game industry, but one of the projects I'm currently involved with is targeted mainly towards the overseas audience," Murayama said. "However, we've only just launched the project very recently and are not sure when things will actually get off the ground. When we do have something to show, I'll be sure to post a message about it on my homepage." He also sings high praises of Kickstarter in his interview. "I believe Kickstarter's notion of 'by the fans, for the fans' may very well be the solution to the aforementioned problem." Murayama created the first three games in the Suikoden series, but he departed from Konami's ranks close to the game's release. His name was scrapped from the credits, as is Konami's company policy, and Murayama claimed he left to fulfill a personal goal of working for a major company for ten years. He founded Blue Moon Studios immediately after leaving Konami, but he has seen only limited success as a writer, director with the release of 10,000 Bullets, a Japan and Europe-exclusive PlayStation 2 game. Since then, he has been writing manga and doing licensing work for social games. I think its safe to say this guy needs another shot in the video game industry, and the indie market is the best place for him to thrive. Easily, the highlight of Murayama's career is the Suikoden series. The first game is a steal for just $6 on PSN, and the masterpiece second game has been rumored for months to be getting a re-release after it mysteriously appeared and disappeared on the ESRB. The third game is up to speed with the previous two and is a great game if you pick it up on a physical disc. Following his departure, Murayama's absence in the fourth game and more recent spin-offs games is obvious as the series drastically dips in quality. Only Suikoden V gets general praise from the fanbase in regards to the the games he was not involved in. Seeing him return to the video game scene through indie channels would be a blessing for everyone who plays video games.